Latest Yamaha's R1 is capable of producing 200 hp? Well ... still inferior to the Aprilia RSV4 latest RR, a World Superbike for the highway. 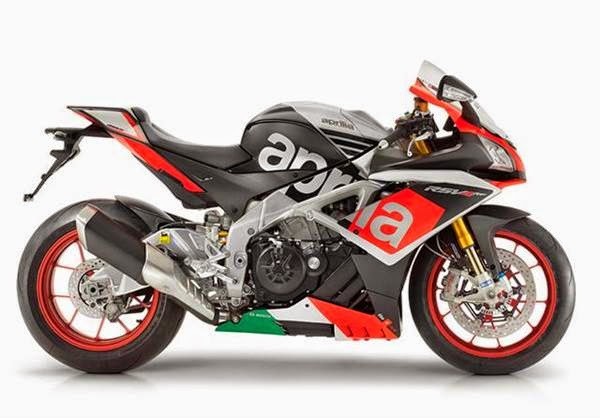 Well, Aprilia RSV4 made some changes for 2015. The 65 degree V4 engine 16 hp gain greater power, with a total power reaches 201 hp, one horsepower is greater than the Yamaha R1. From the exterior, this bike has improved suspension, redesigned fairing, and the swinging arm extended. Aprilia Performance Ride Control The latest version comes as a standard feature. The RSV4 brings a new air box to increase the fuel injection. the valves using titanium now. The oil pump can cope with extreme angle when cornering and acceleration and deceleration quickly. Exhaust system has a new system that is equipped with two oxygen sensors. A more powerful ECU is also fitted to manage the increased power. RSV4 chassis has undergone a change. The front of the redesigned and tested in the wind tunnel to get better aerodynamics. LED parking lights and the reshaped headlamps are added in the back. Rearview mirror with integrated turn signal. Aprilia add swing arm length over 14 mm to give better traction and reduce the possibility of wheelie. Another interesting feature is the position of the engine in the frame can be set as well as a professional racer. The second generation of the second generation APRC including traction control, whiilie control, launch control, quick shift, and Race ABS. ABS system can be turned off, and can be set in three modes, trak, street, or less than ideal conditions like rain. APRC also be combined with three new engine mapping (Track, Sport, and Race), which has been enhanced to make it easy to set up, and not aggressive than the previous version. Motorists have the option to add a Multimedia Platform (V4-MP), which allows the rider to connect their motorcycle with a smart phone, and the web. With V4-MP, the rider can adjust the settings on their motorcycles, such as receive real time information of Adaptive Race Assistant that can collect data to improve performance on the track. GPS can be used to automatically adjust the electronic functions (traction control, anti-wheelie, engine mapping, etc.) on top of the track. 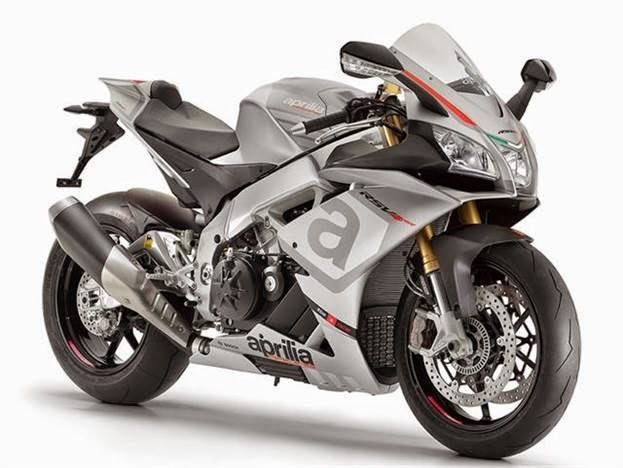 Aprilia RSV4 RR will be available in two color schemes, both matte or soft, based black and gray, actually ( Bucine gray and black Ascari ). Racing package will also be provided including wrought aluminum alloy wheels and Ohlins suspension. Well, will be available also RSV4 RF limited edition, which will only be available to 500 units only, and will be available in various choice of colors will be installed Superpole and Race Pack.